So while I don’t usually have multiple recipes to share each week, I do miss blogging more often like I did before I launched Keep It Sweet Desserts. I thought it might be fun to add a weekly post where I give a little snapshot of what is going on over here and share some fun links and recipes I have found on other sites. On life: Things around here are busy! Orders have been coming in more heavily than I expected for this time of year so that is definitely a good thing. I’ve been balancing my increased kitchen time with trying to be more social now that the weather makes me want to have a life again. I got to see my friend Samara twice in one week which was pretty much a miracle for me… with a special thank you to her friend who asked if I was pregnant. I realize that the question was a result of the Diet Coke I was drinking but whew, that was a self-esteem booster. Sidenote: the answer is NO. Other things happening around here- I’m considering teaching a baking class, if only I could decide what I’d like to talk about first! I’ll keep you updated in case anyone in the NY/NJ area is interested in coming! Beyond that, I’m going to make an effort this time around to get some more hands on board for the fall/winter. I think that means I need to start looking for interns or assistant bakers now. Know of anyone who wants some baking or entrepreneurial experience? Send them my way! *sigh* I still dream of those blondies. And girl if I had a nickel for everytime someone asked if I was preggers I’d have like…well…I dunno maybe 15 cents. The worst was when I was 17, about to do a reading for mass, and the priest’s sister comes over and asks me if I’m pregnant. I just looked at her like “UM…NO?? !” And decided to never wear that shirt again. And she like totally knew I was in high school, but still she was all happy like “ohh are you pregnant!? How far along are you? !” Ugh. I totally think you should teach a baking class! Yum :) those margarita cookie bars look awesome! 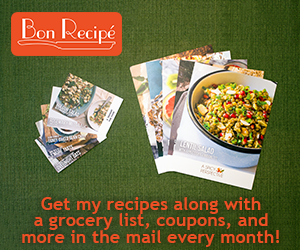 I love those recipes you’ve pinned…I want to make all of them! But especially the cake batter whipped cream. I’m thinking I need to have it on hand constantly to dip strawberries in.